Intern success stories mirror what the Foundation has learned about the program over the years. External evaluators and Foundation staff, with advice from evaluation experts at the Getty Trust, have completed multiple surveys to gauge the program's effectiveness and assess its impact on the careers of participants. The most recent survey, conducted in 2012, indicates that forty-two percent of alumni respondents have pursued careers at museums and visual arts organizations. Of those, eighty-nine percent attribute their career path to the internship. Many former interns not working in the arts still maintain contact with their host organizations and continue to participate in the arts community. The surveys have also been helpful in making program adjustments. 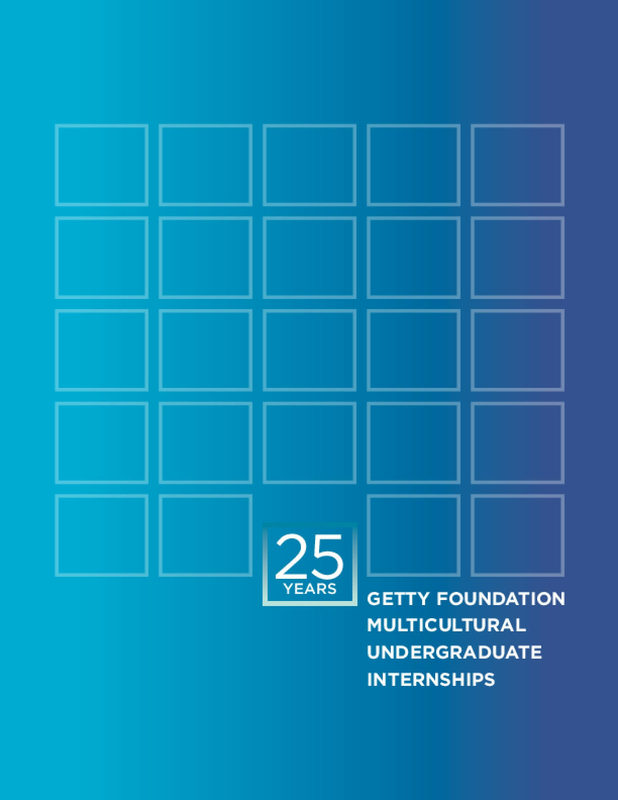 For example, the surveys indicate that alumni working in museums and cultural organizations place a high priority on professional development opportunities and continuing connection with the Getty. An early experiment in bringing together former interns was the Getty's Philanthropy Workshop in 2002, where Foundation staff taught a course on grantmaking for alumni, which included defining a grant area; then soliciting, reviewing, and discussing proposals; and finally awarding $250,000 to local organizations. More recently, the Foundation has offered several otherprofessional development opportunities, including two leadership training programs—one in partnership with LACAC and one offered by the Getty Leadership Institute (GLI) at Claremont Graduate University—and support for alumni to attend annual conferences of the California Association of Museums and the American Alliance of Museums. We are committed to continuing these types of opportunities in the future; in the 2017–18 academic year, we will work with the GLI to create programs specifically for former interns. Copyright 2017 J. Paul Getty Trust.